Is it just us, or is the metallic trend having a major moment right now? Blame it on the rise of all things space age last season (which is primarily due to the return of the ’80s), but it seems like the fashion world can’t get enough. 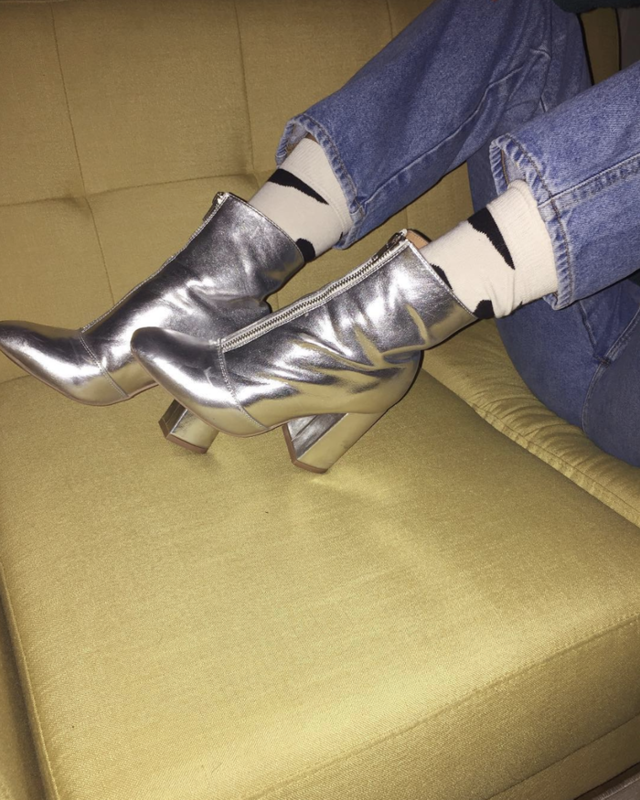 Whether you’re ready to go all-in with this trend or would rather ease into it, a pair of silver booties will be the easiest way to test this trend for yourself. If you think these shiny boots might be hard to pull off, think again. In fact, they’re one of the most versatile, statement-making trends to wear this season. Style them with a pair of jeans, a T-shirt, and a blazer for an effortless day-to-day ensemble, or wear them to complement your slip skirt and sweater. Without a doubt, these will be your new neutral boots. Ready to start shopping? 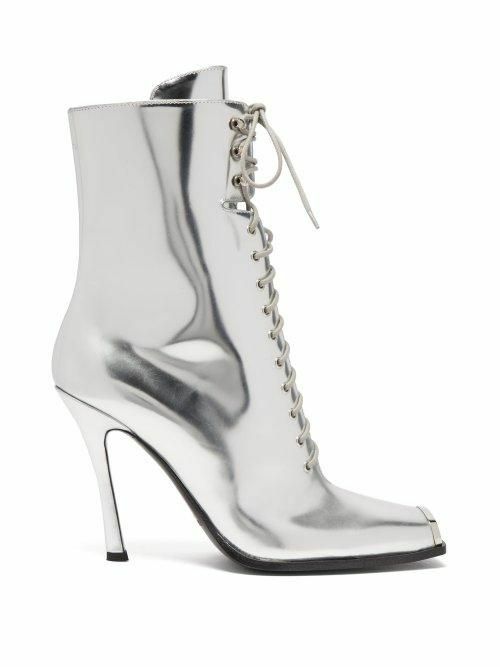 Below, we’ve rounded up our favorite silver ankle boots to add to your cart. Trust us: You’ll want to wear them with everything you own. We can't get over these. The Western trend has never looked better. These will go with everything. You'll be able to walk a mile in these. Dress up any outfit with these. We're loving the texture of these. Leave it to Isabel Marant to create epic boots. Take these out for a night. You'll get so many compliments on these sparkling boots.